Trampoline warnings are not unheard of. 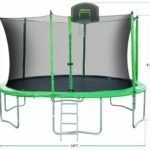 Despite the known risks, it’s somehow become a norm to choose trampolines over other play tools since they are popularly promoted as a piece of equipment for fun and physical activity. As such, families have tried hard to recondition their trampoline-seeking conduct but to no avail. This brings us to the million-dollar question, ‘Is jumping on a trampoline safe for a toddler?’ With a little bit of foresight, you might be able to answer this question yourself. But, if you haven’t figured out the answer by yourself, we will settle all the gunfire going in your head about this favorite backyard play tool. Now, this can be a shocking discovery for scores of parents out there, but here’s the reveal. Industry experts state that no children under the tender age of six should ever use a trampoline. The reason is simple and practical. At a raw age, their bones are too fragile to withstand the pressure from the repetitive bouncing and jumping movements. So, their bones can snap by merely jumping few inches on a trampoline. They won’t even have to do crazy stunts to injure themselves. Not to forget the fact that toddlers can bounce higher than usual due to their lightweight. Sometimes, the bounce can be so high that the toddler can propel over the net. Simply put, toddlers are at increased risk of trampoline-related injuries. Therefore, it won’t take too long for their love for trampolines to turn into hate because the injury rate is quite high. 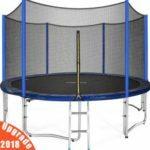 Many changes has been made to a trampoline’s design over the years, and you can find great trampolines for kids and toddlers out there, but still it’s not 100% safe. Frankly speaking, the element of risk still exists. If the product was a person, it could have been sued quite frequently. 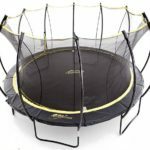 To make matters worse, a recent poll on the subject revealed that most parents often ignore the basic safety guidelines related to the use of a trampoline. 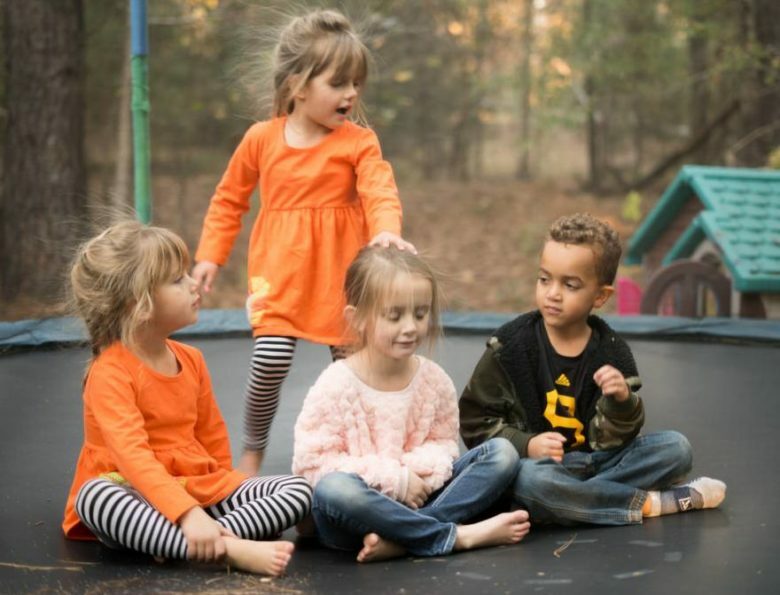 For instance, a standard safety guideline states that only one kid should be allowed to play on a trampoline at a time to avoid head versus head hitting injury. But, this guideline is often taken for granted. Most parents also lack the basic first aid knowledge to attend to routine injuries. Such parents end up doing an innocent disservice to their kids. 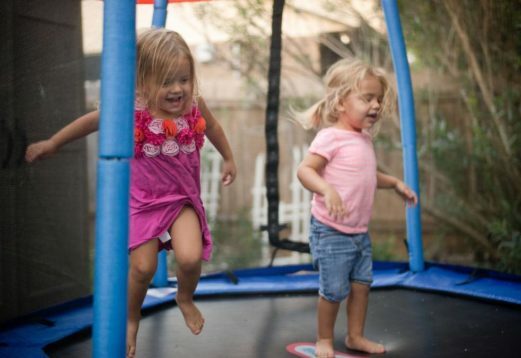 Health experts have repeatedly issued warnings about trampolines-related risks and injuries to prevent families from learning some painful lessons. 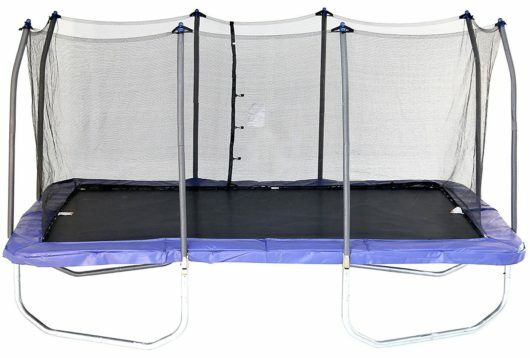 In short, getting a trampoline for a toddler will come with its share of bitter afterthoughts or consequences. It’s a myth that trampoline is not safe for toddlers, but the truth is that trampoline games are one of my favorite games. 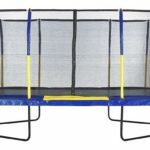 Small trampolines has very less height and are totally safe as they now comes with safety net enclosures. So be assured and let them enjoy the happy bounces. Trampoline is not advisable for toddlers. Because kids have soft bones , they can suffer from serious injury while jumping. I am also manufacturer of round trampolines which are durable and comfortable. For more details, visit our online store.